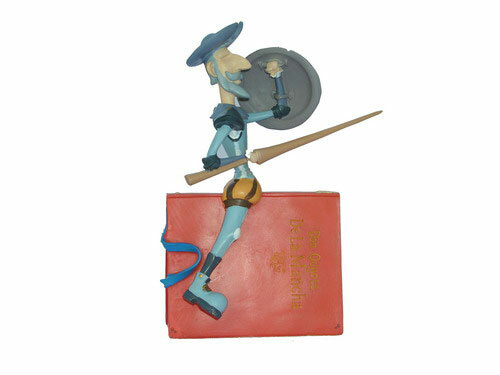 Funny figure of Don Quixote riding on the back of the Cervantes book. 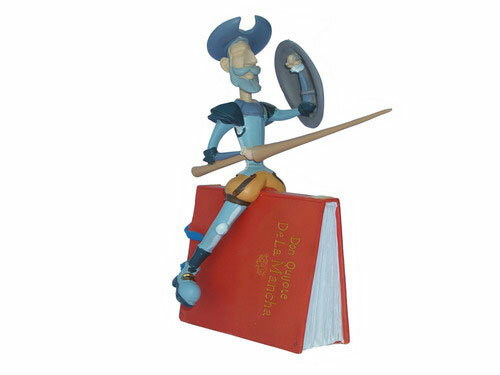 Don Quixote is a novel by the Spanish writer Miguel de Cervantes Saavedra. The first part of his adventures was published with the title of The Ingenious Gentlemen Don Quixote of La Mancha in early 1605. It is one of the most outstanding works of the Spanish and world literature, and one of the most translated novels. 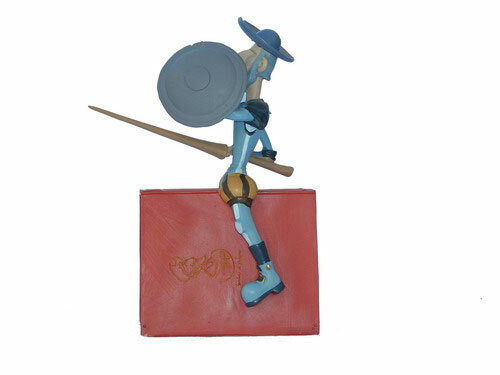 The second part of Don Quixote has been released 10 years later, in 1615. Dimensions: 19 X 14 cm.